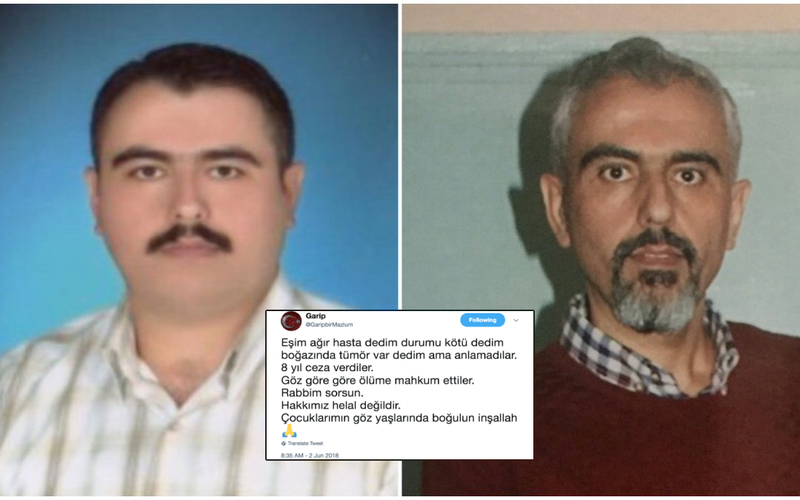 Savaş Uyar, a 41-year-old public accountant in Turkey’s Giresun province who lost 52 kilograms during months-long pre-trial detention has been given 8 years of prison sentence. “They did not believe me when I said my husband is extremely sick with tumors along his throat. He was given 8 years in jail. They have blatantly left him to die. May God hold you accountable for this,” a Twitter account believed to be of Uyar’s wife wrote on June 2.